China is the world's second biggest economy – its rapid economic growth, fast urbanisation and expanding population have caused haze pollution in China's cities to become more frequent and severe, with levels of fine particulate matter, or chemical air pollution, recently reaching unprecedented highs in many areas. A new report looks at this problem in Beijing by taking air samples over a long period of time. Misti Levy-Zamora from Texas A & M University in the US was involved in the research and explains what the team found in the city's atmosphere. According to a new report released by the Royal Society, climate and demographic change like population growth and ageing will hugely increase the risk to people from extreme weather events. The report looks at human exposure to floods, heatwaves and droughts across the world and concludes that human populations need to become more resilient and prepared for these kinds of severe events in the future. Professor Georgina Mace, chair of the report's working group, and Professor Peter Cox came to the BBC studios to discuss the findings of their report. For the first time, the movements of a young hammerhead shark were tracked for ten months using an electronic tracker. By doing this, the research team were able to follow the shark as it moved through the Gulf of California. James Ketchum, the Director of Marine Conservation at Pelagios Kakunjá, a Mexican non-profit, explains why understanding where a shark goes is crucial for developing effective conservation measures. The International Union for Conservation of Nature Red List is now in its 50th year. The list assesses the conservation status of many species across the globe to promote their conservation and highlight extinction threats. It currently includes data on more than 75,000 species and the latest update to the list has just been released - Pacific Bluefin Tuna, Chinese Pufferfish, American Eel, Chinese Cobra and an Australian butterfly are the latest additions. Craig Hilton-Taylor is Head of the Red List Unit at the IUCN and talks to Science in Action about the importance of the IUCN’s work. Around 14 million people from around the world will suffer from cancer this year and with figures predicted to rise, scientists are looking into how they can improve current treatments. Researchers at the University of Cambridge are doing just that and this year, they set up a new programme to study an animal that is resistant to this prevalent disease – the Naked Mole Rat – and the BBC’s Kate Lamble went to the animal house in Cambridge to meet them face-to-face. 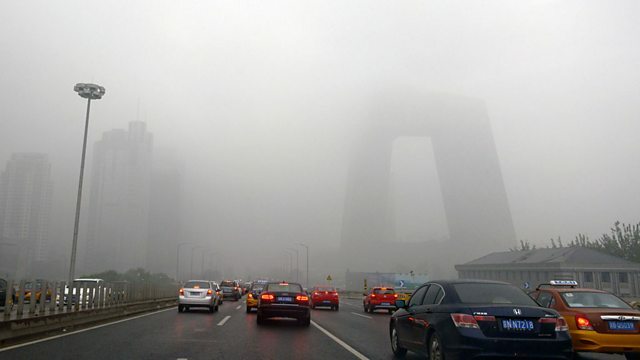 What’s causing severe pollution haze events over Beijing?